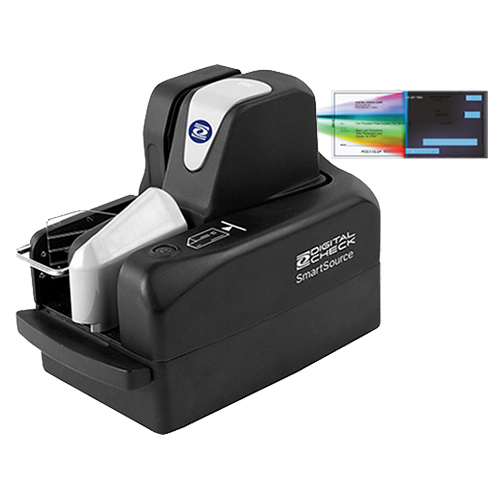 The EC7014F Series provides a low cost, two-sided imaging solution for merchants and low volume billers who want to take advantage of the opportunities presented by Check 21. 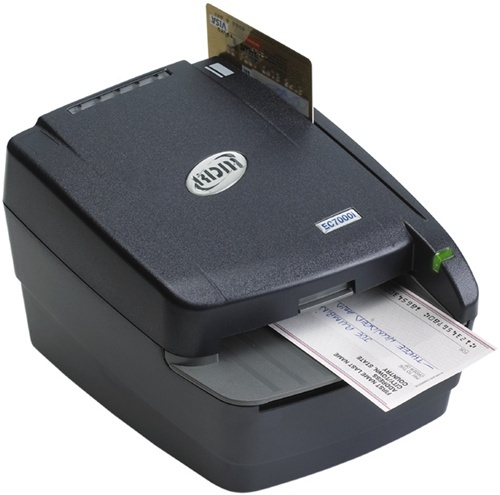 Based on RDM's EC6000i Series with its small footprint, connectivity to most popular POS terminals, and industry leading MICR and image technology, the EC7014F features a standard USB port, in addition to a wide variety of optional features such as a Franking Acknowledgment printer, internal alphanumeric OCR A and B character recognition, OCR E13B MICR Assist, and 3-track bi-directional Magnetic Stripe Reader (MSR), positioning it as one of the most versatile and reliable two-sided imaging scanner in the marketplace. 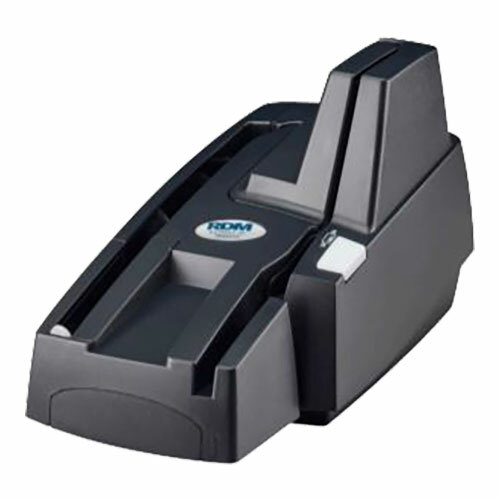 Utilizing RDM's Progressive MICR Method, the EC7014F Series of imagers deliver the industry's highest MICR read accuracy which results in lower administrative returns due to MICR misreads and rejects. In addition to RDM's industry leading "single pass" Progressive MICR Method, the optional OCR E13B MICR Assist feature can be enabled to provide maximum recognition, performance and accuracy to virtually 100% read rate. 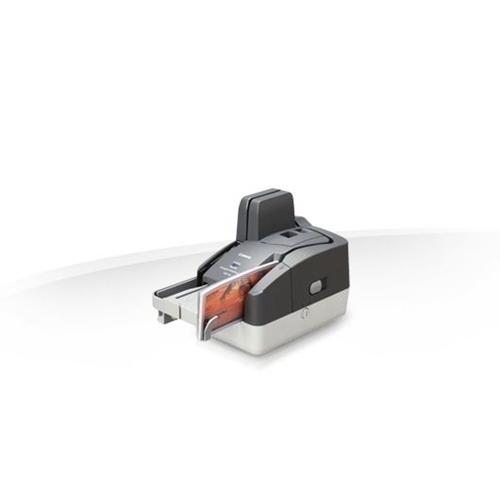 Under application control, the bi-directional document drive in the EC7014F Series can be paused to hold documents pending an authorization decision. 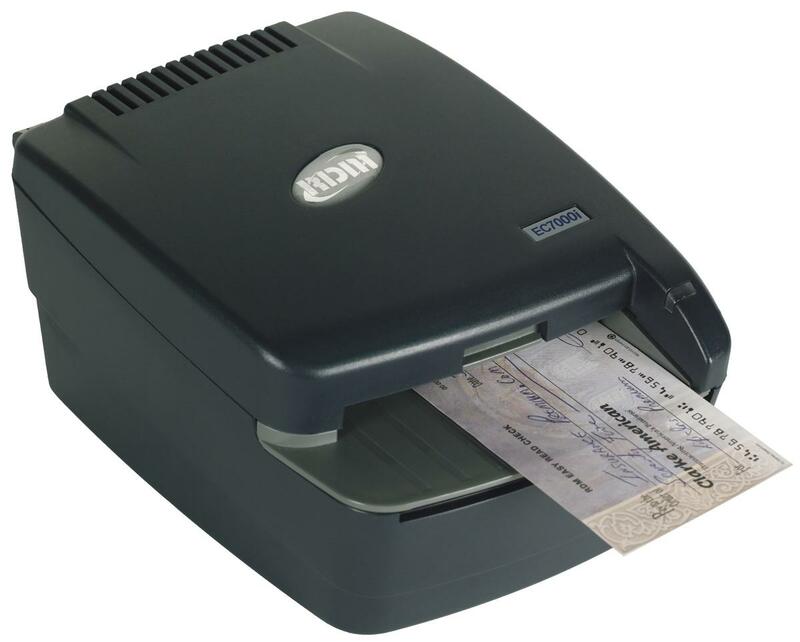 For approved transactions, checks are returned to the user "face down" through the exit slot. 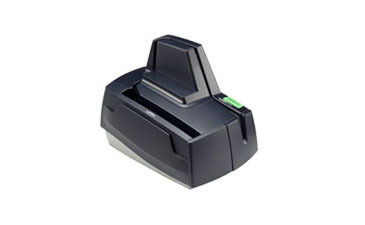 Transactions that are denied cause the check to be returned to the user "face up" from the exit slot. 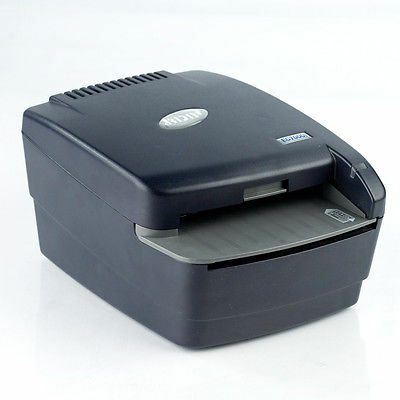 The EC7014F Series scanners feature a USB 2.0 full speed (12MB/sec) port, in addition to a wide variety of optional features such as Franking Acknowledgment printer, internal alphanumeric OCR A and B character recognition, OCR E13B MICR Assist, and 3-track bi-directional Magnetic Stripe Reader (MSR), positioning it as one of the most versatile and reliable products in the marketplace.